The Galaxy Yacht Cruise • Use the form below to contact us directly. Fill in the fields to check availability & reserve direct with The Galaxy Yacht Cruise. 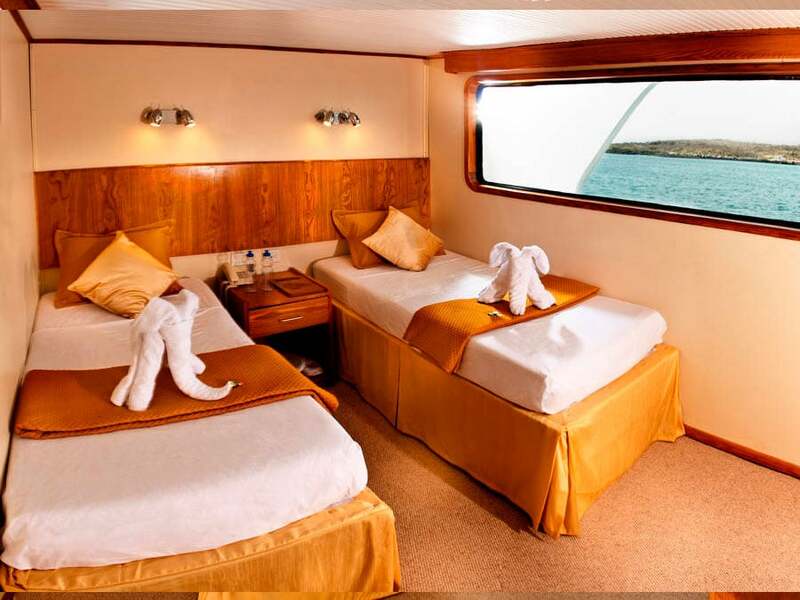 The Galaxy Yacht Cruise offers a comfortable cruise of the Galapagos Islands. Experience famous wildlife sightings, beautiful scenery and impressive natural features. The Galapagos Islands are a volcanic archipelago towards the west of Ecuador in the Pacific Ocean. 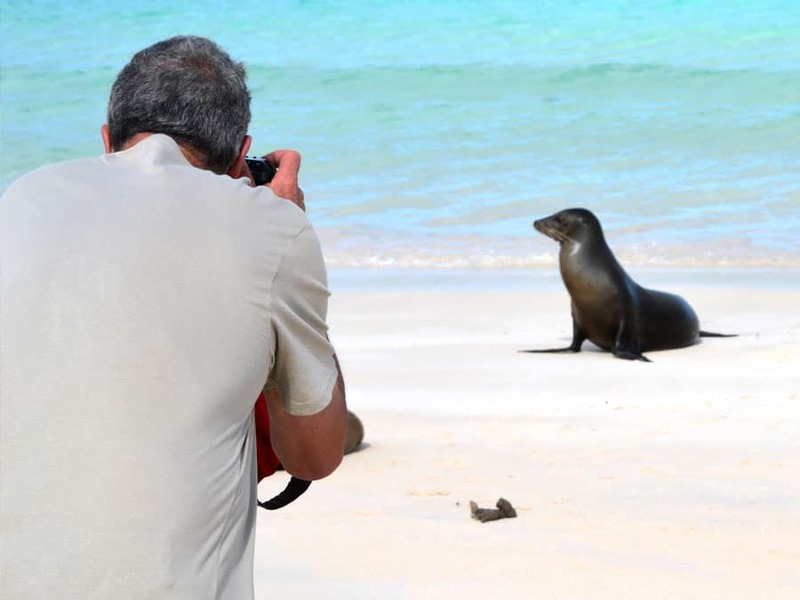 The Galapagos contain incredible diversity including many species found nowhere else on Earth; many species living on one island are not even found on other islands of the Galapagos. 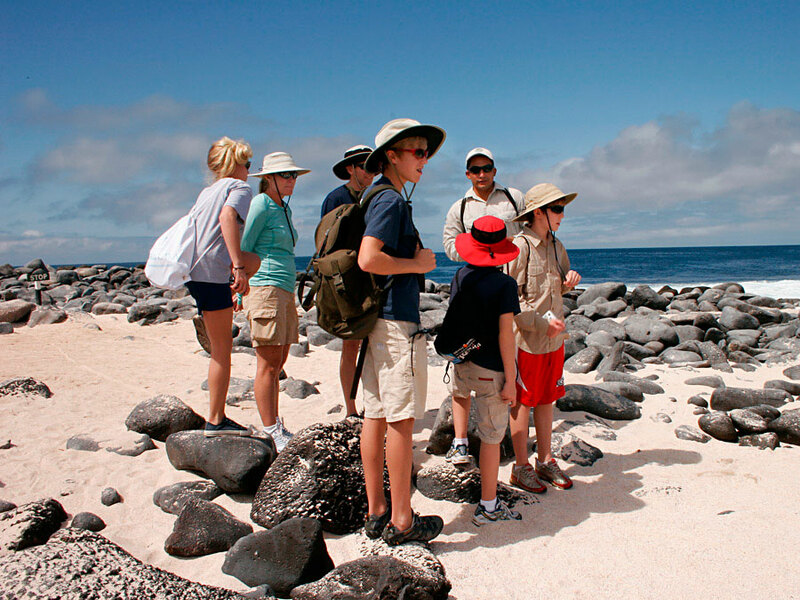 Protected as a National Park and a UNESCO World Heritage Area, the Galapagos are regarded as one of the most unique, scientifically important and biologically outstanding areas on Earth. 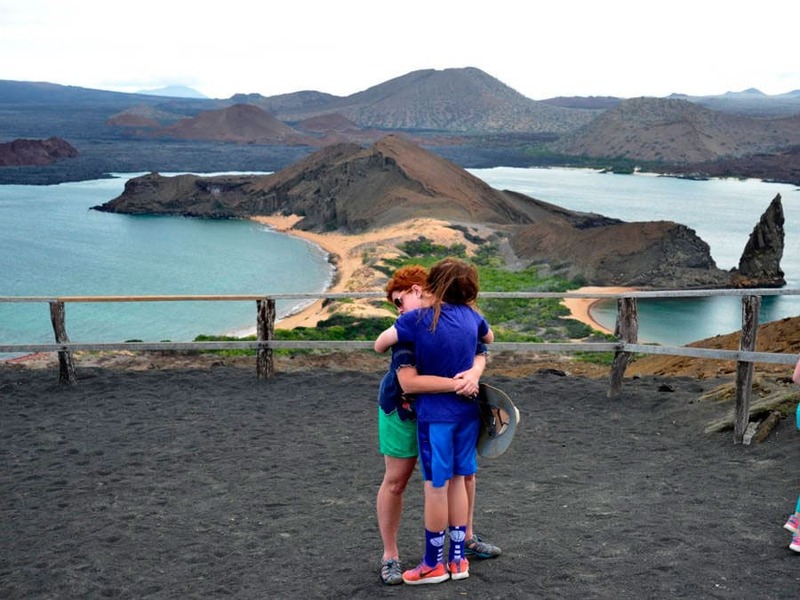 Because of this, the Galapagos are popular with travelers and visitors often mention their time on and around these incredible islands was a life changing experience. An incredible 80% of land birds and 97% of reptiles and land mammals on the Galapagos are found nowhere else on Earth. 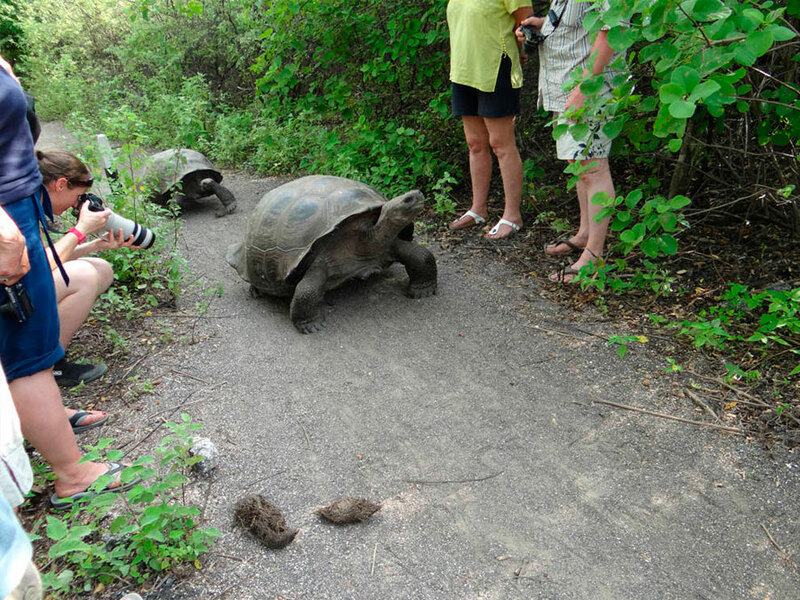 Some of the favorite animals of Galapagos tourists include the giant tortoises, marine iguanas, and the Galapagos penguins. Found accidentally by a Bishop on his way to Peru, the Bishop’s vessel was blown off course and landed on these islands. Some of his crew died due to the harsh conditions and lack of fresh water. He went on to describe the archipelago as having little to offer and best avoided as a inhospitable land mass. Their addition to maps, however, meant the Galapagos became a base for pirates to pillage vessels carrying gold to Spain. The most famous story of the Galapagos involves a young English naturalist by the name of Charles Darwin. Darwin was joining the Beagle on a voyage to map the coast of South America and he collected specimens from the islands of many different birds, beetles and other animals. Then, after many talks with colleagues, a peculiarity emerged where each island seemed to have its own form of animal, slightly different from the others. Years later after accumulating more evidence from other areas, Darwin proposed the theory of evolution by natural selection and in 1859 published On the Origin of Species to explain the diversity of life on Earth. Ecuador has been found by naturalists and researchers to contain the highest amount of animals and plants on Earth. This diversity has been found in the Amazon Rainforest, the world’s largest container of tropical life. 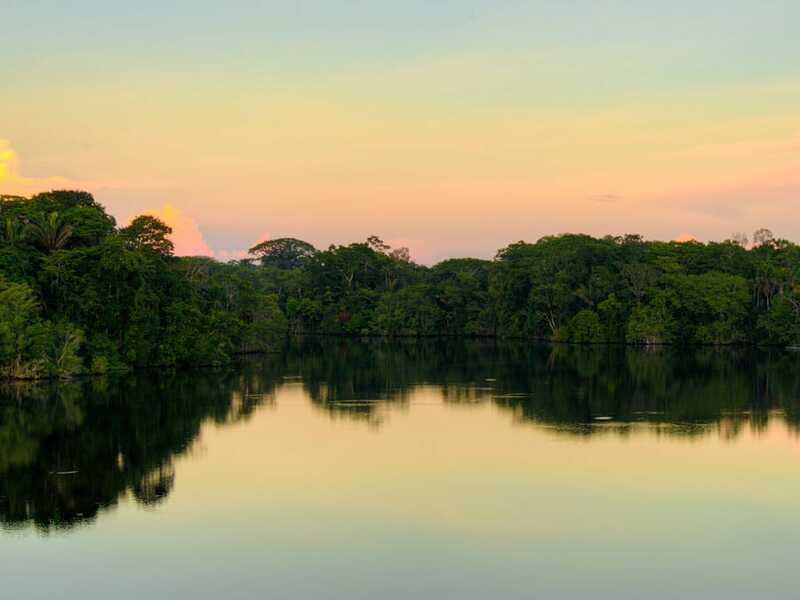 The majority of Amazon Rainforest tourists in Ecuador fly from Quito to Coca and are then transported by river to their chosen Amazon Rainforest lodge. We are sorry, there are no reviews yet for this adventure. 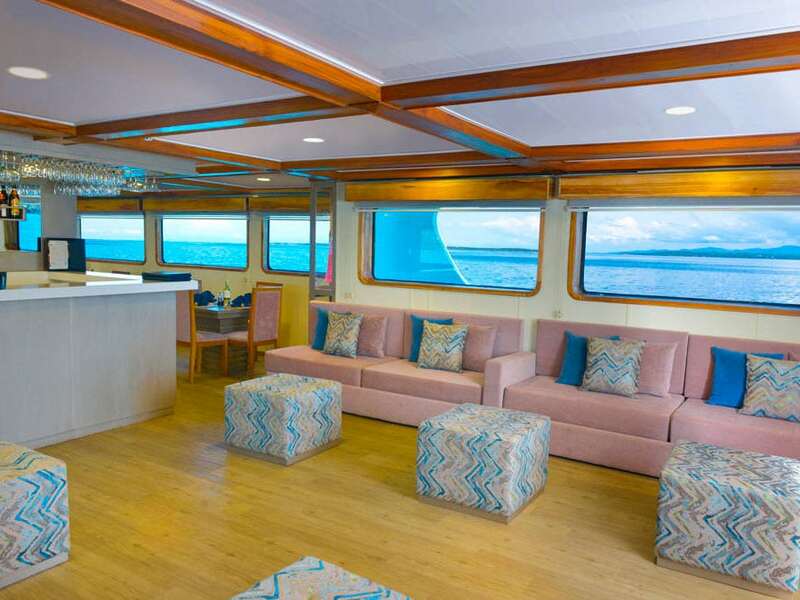 In addition to comfortable cabins, you can enjoy the lounge and bar area, dining room and sundeck. 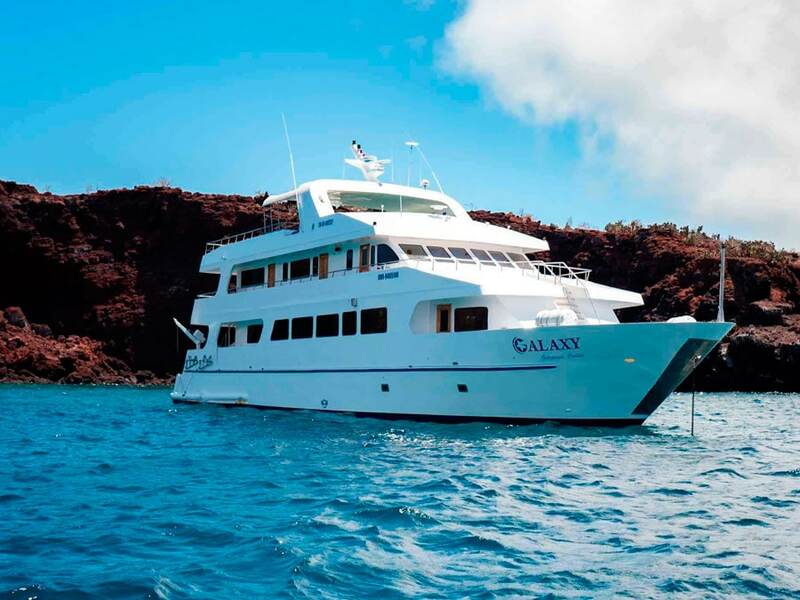 The Galaxy Yacht offers 9 comfortable cabins. Four of these are found on the upper deck, three are on the main deck and two are located on the lower deck. The cruise can accommodate a total of 18 passengers. Cabins then offer private bathrooms, hot water, air conditioning and both internet and telephone communication. Aboard the Galaxy Yacht, you can find comfortable social areas. 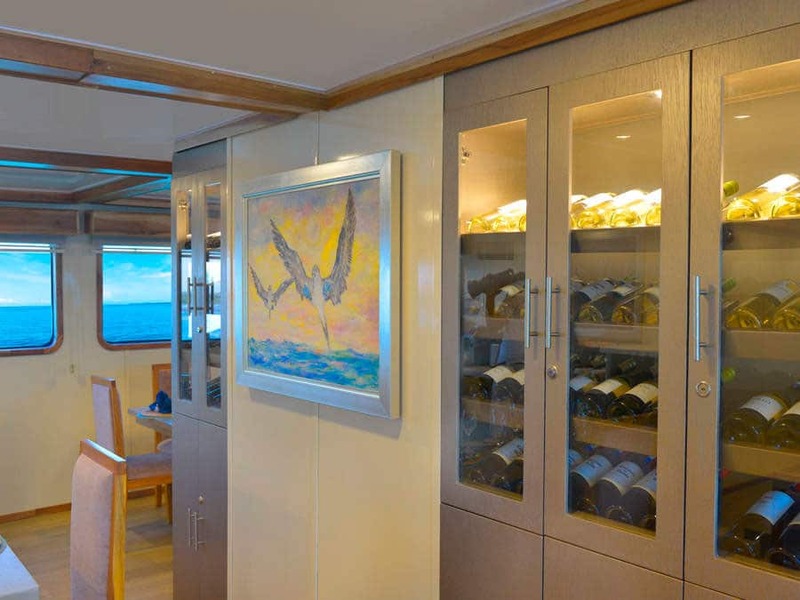 These include the lounge area, dining room and sundeck. 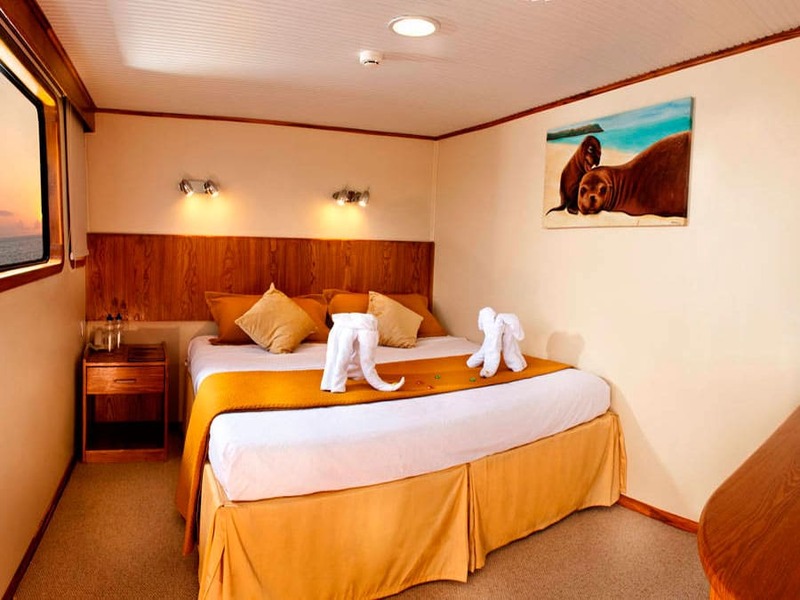 The lounge area and adjoining bar offers a great place to relax between your Galapagos expeditions. 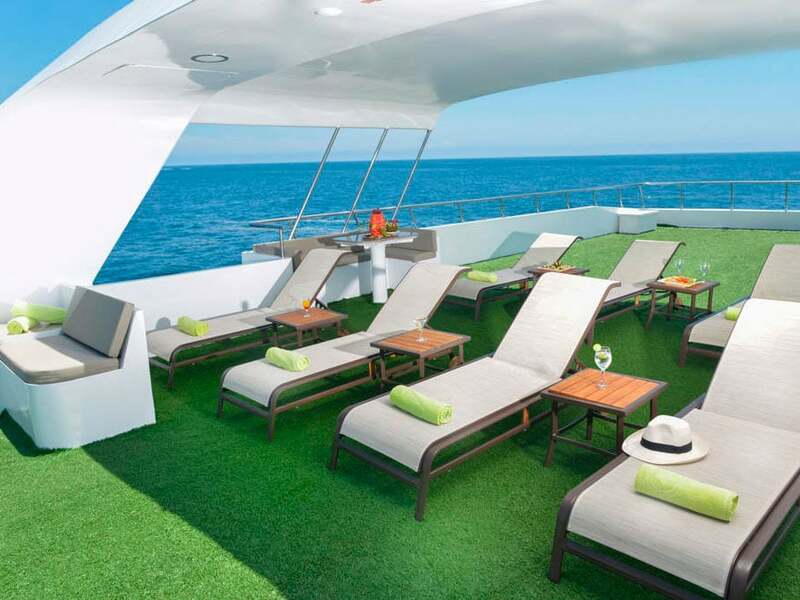 To enjoy the sunshine and beautiful views, there are also 7 comfortable loungers on the sundeck. 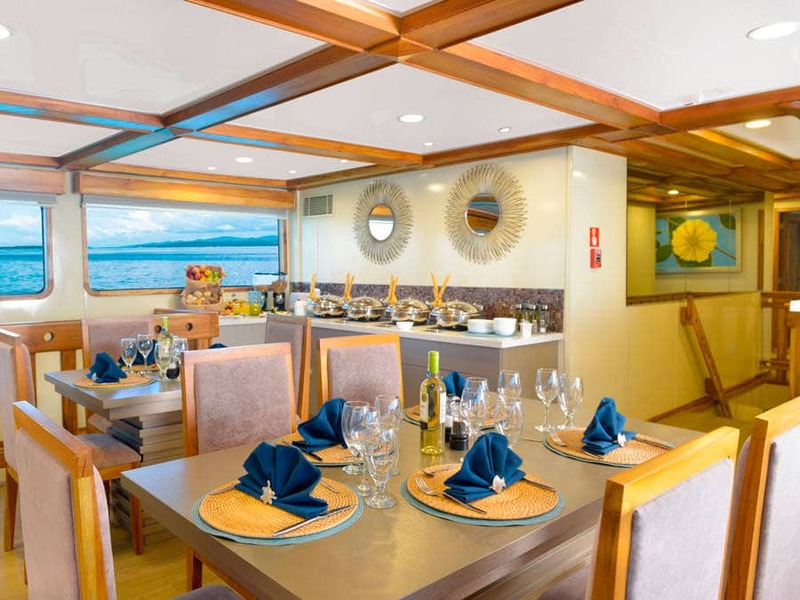 Meals aboard the Galaxy Yacht are focussed on the delicious cuisine of the Galapagos Islands and Ecuador. 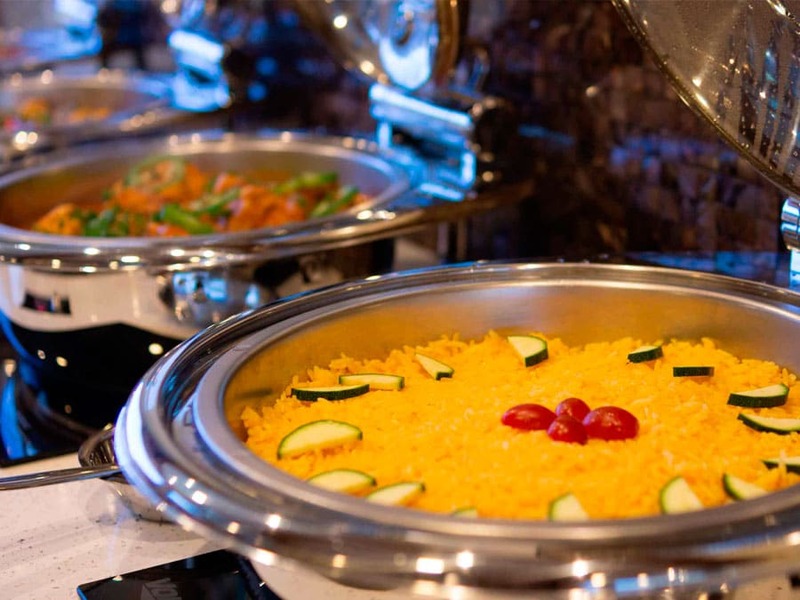 The menu also offers a number of international favorites. Special diets can also be accommodate with prior notice. 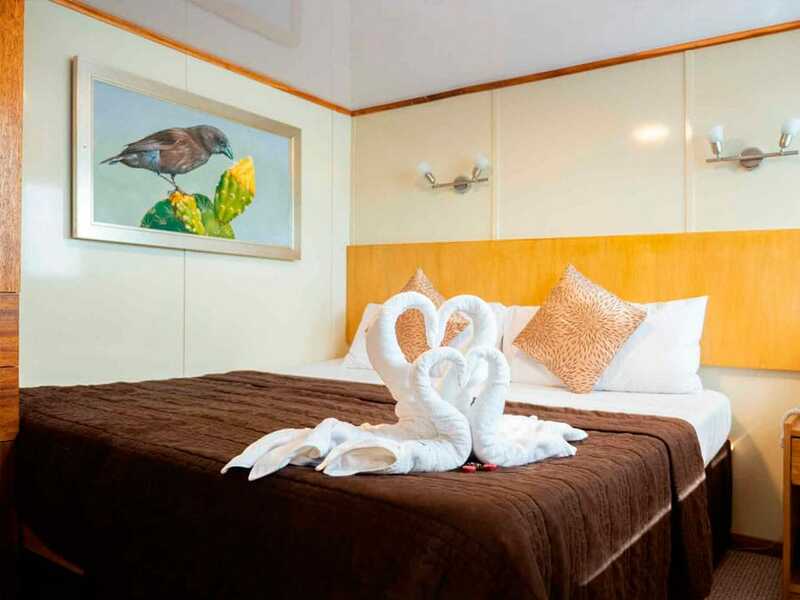 On the Galaxy Yacht Cruise, enjoy exploring the Galapagos Islands to visit the most iconic and most wildlife-rich areas. Enjoy beautiful scenery, impressive natural features and the many wildlife watching opportunities. In addition to spotting incredible wildlife on guided island walks, other activities include kayaking, hiking, panga rides and photography.